CORY WALKER’s epic stint as artist continues! 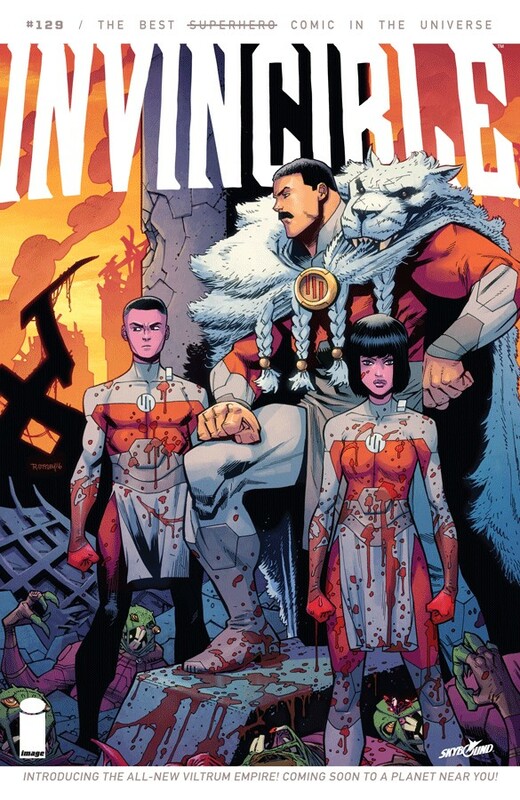 Thragg is making moves, conquering more worlds as he rebuilds the Viltrum Empire. Meanwhile, Mark, Eve, and Terra take a trip to Earth to visit Grandma and Grandpa.